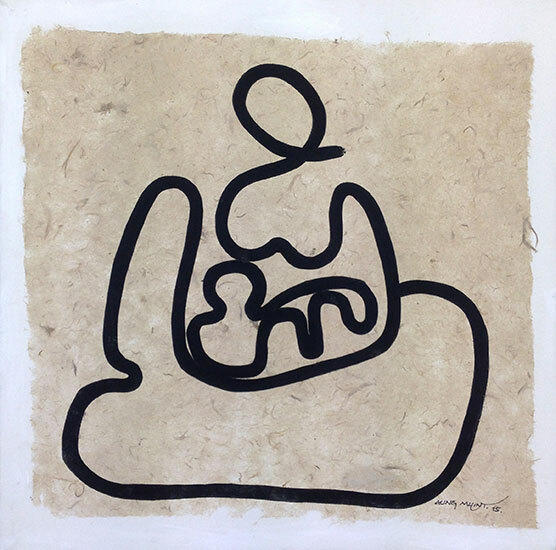 Aung Myint (b.1946) is one of Myanmar’s most senior artists, whose practice straddles the modern and contemporary periods in Burmese art. 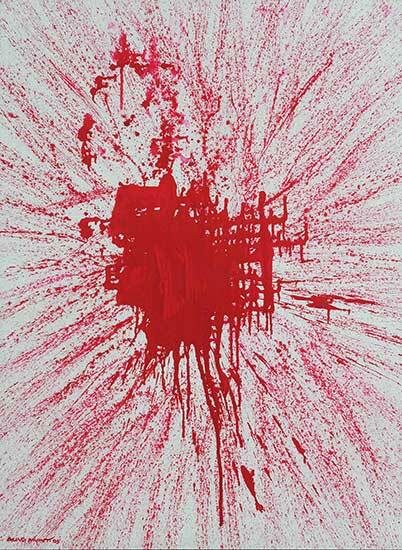 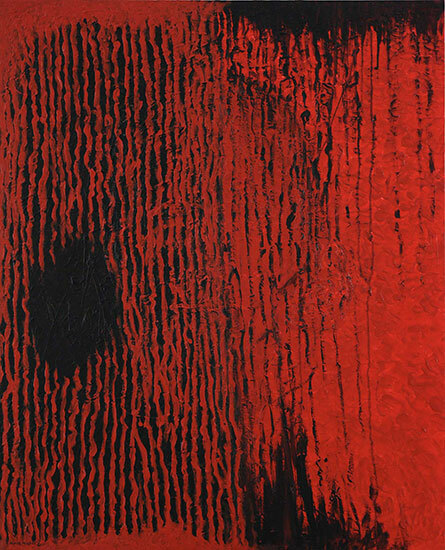 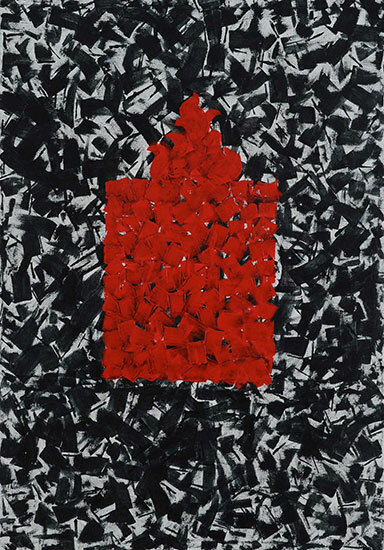 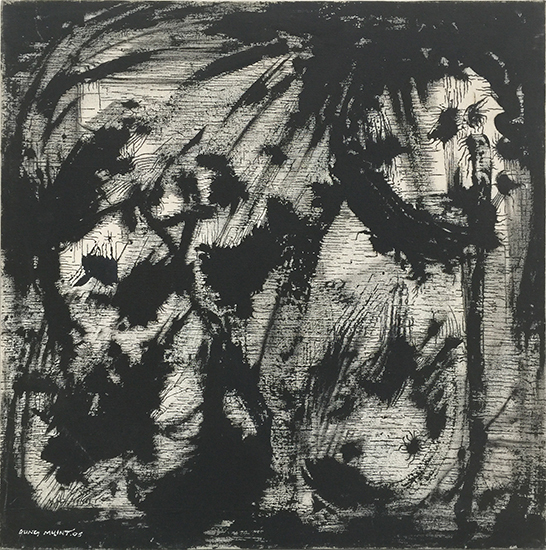 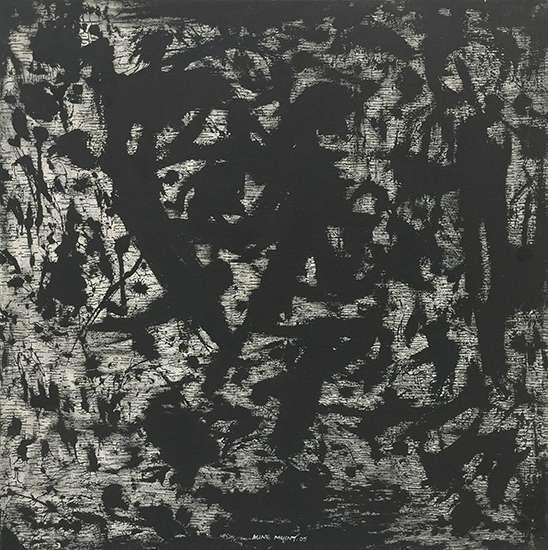 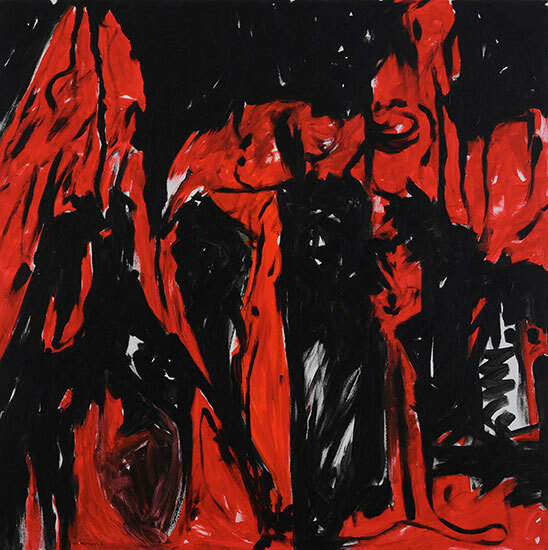 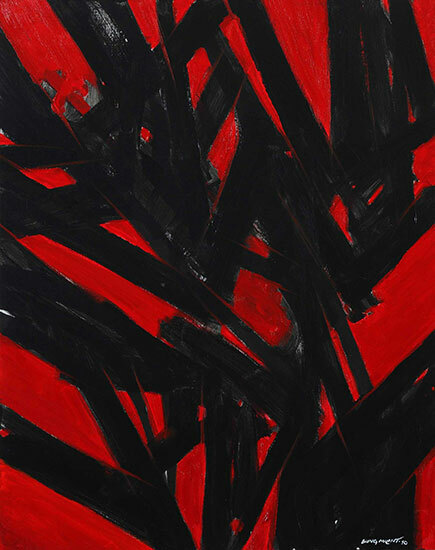 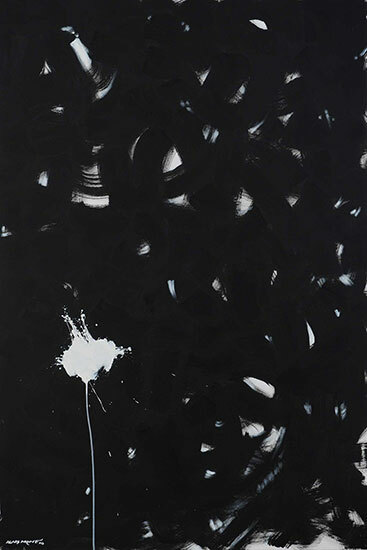 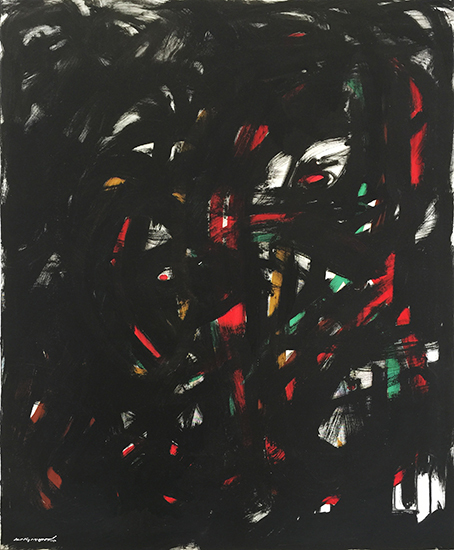 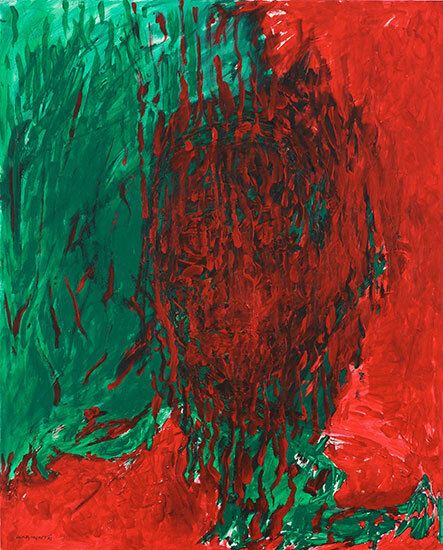 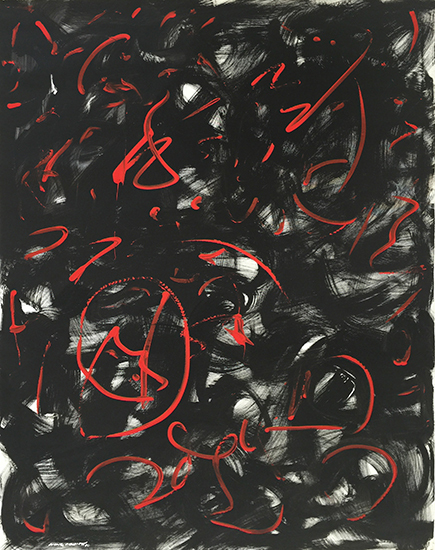 Though best known for abstracted, expressive paintings in his signature palette of black, white and red, he has recently incorporated installation and performance art into his practice. 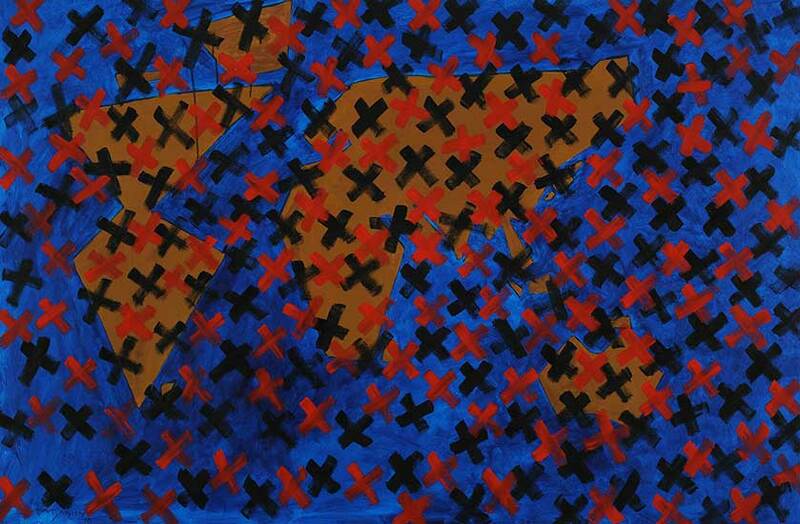 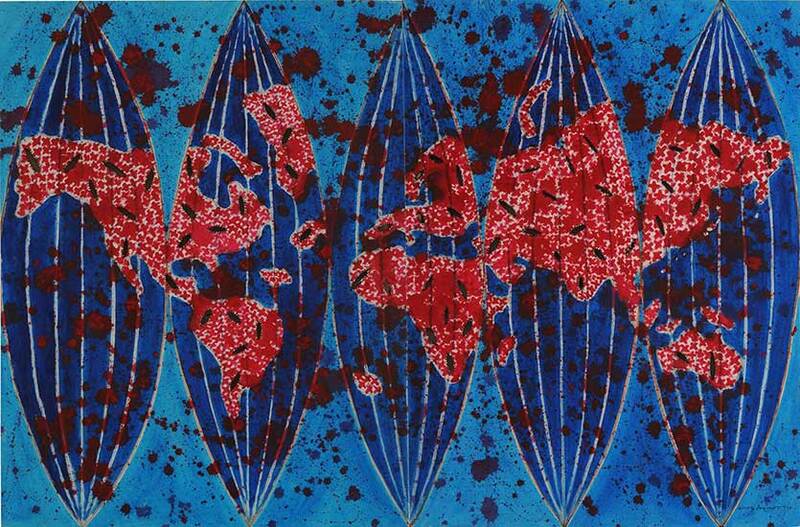 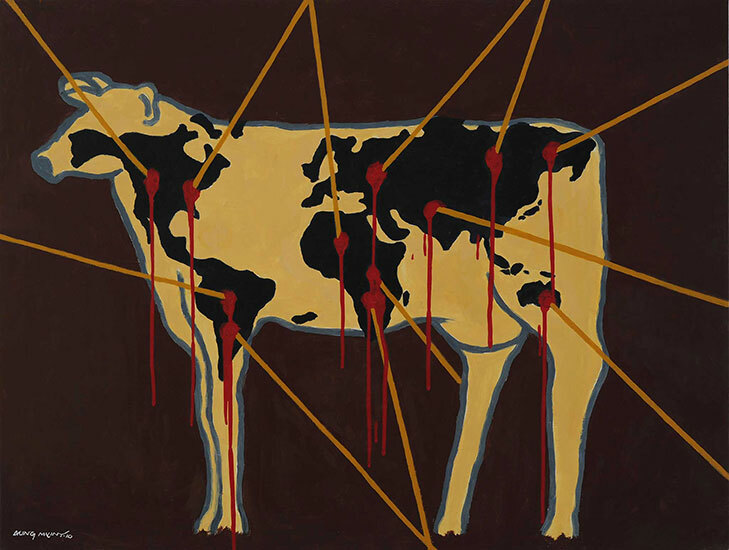 Despite the stringent censorship and restrictions put in place by the ultra-conservative Burmese government, his body of works has been able to retain its individualism. 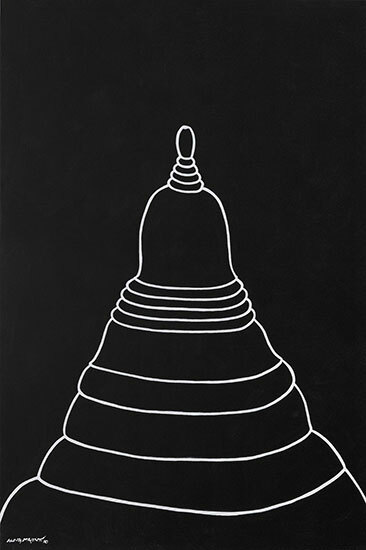 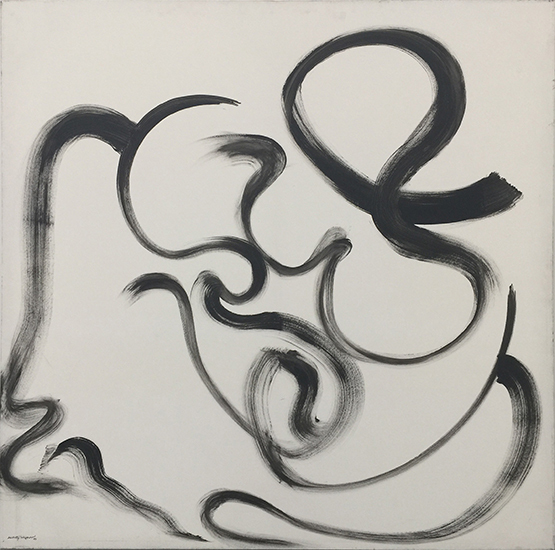 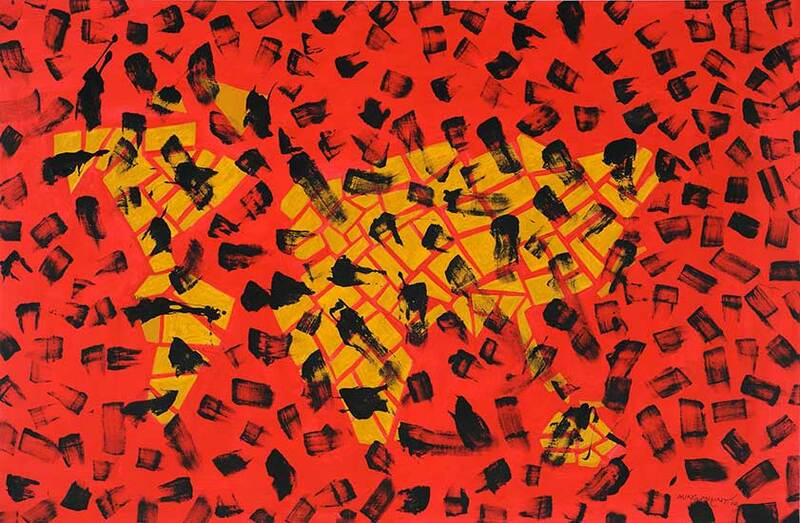 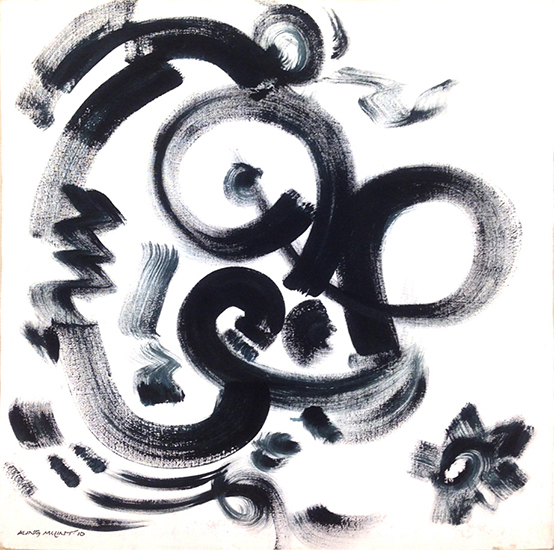 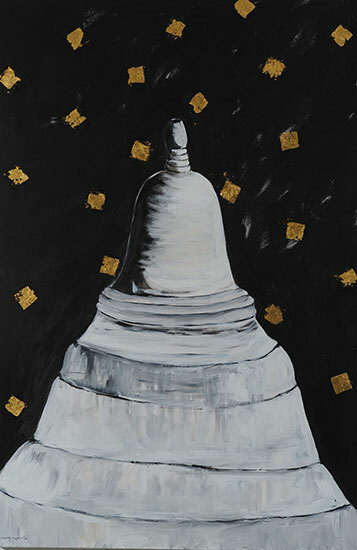 Over the years, he has developed his own non-representational language, incorporating the line associated with Burma’s script and sacred art to his dynamic, non-figurative paintings. 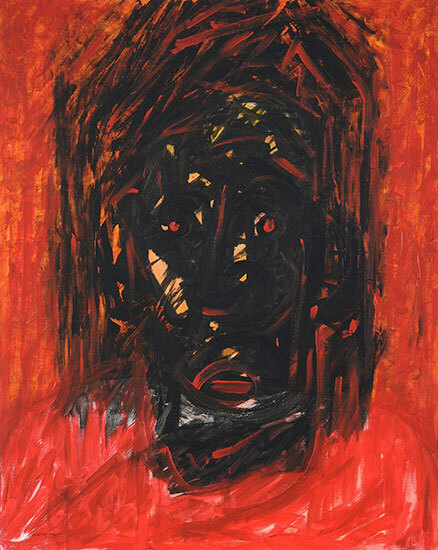 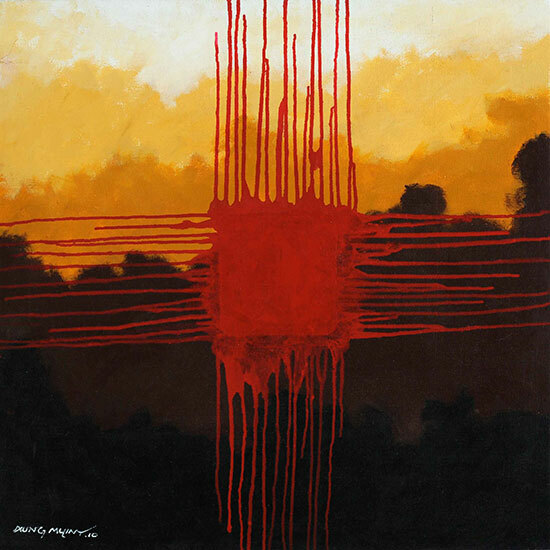 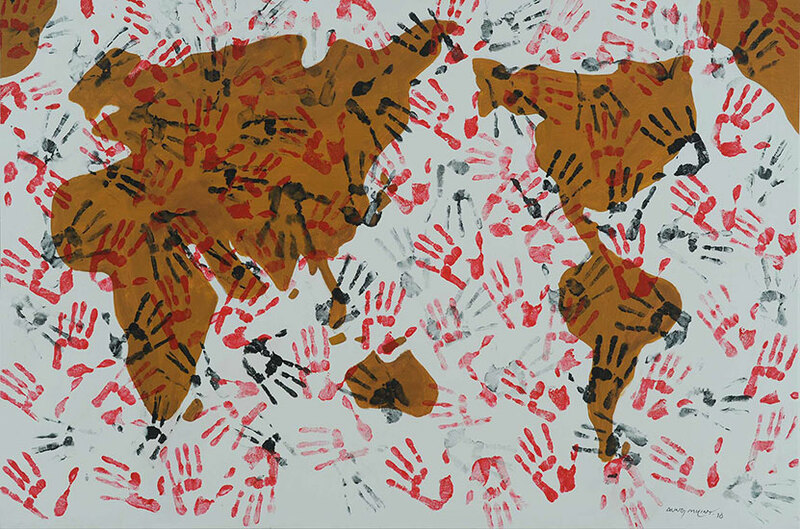 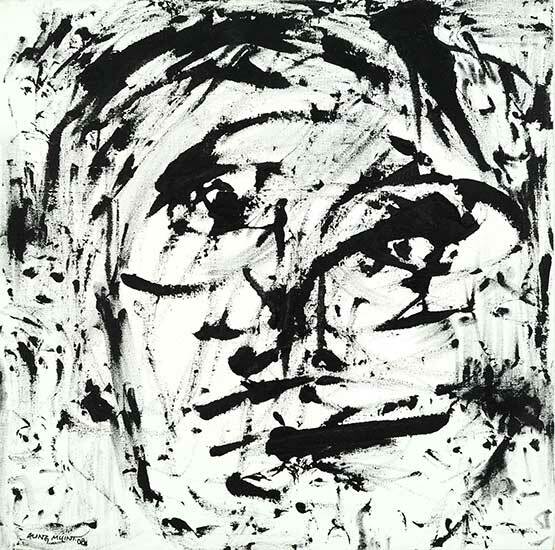 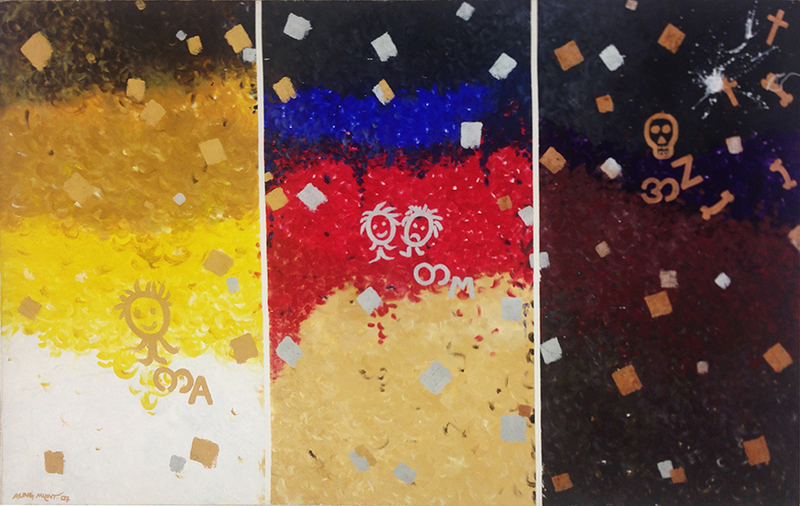 Aung Myint has exhibited extensively in Asia, Europe and the USA. 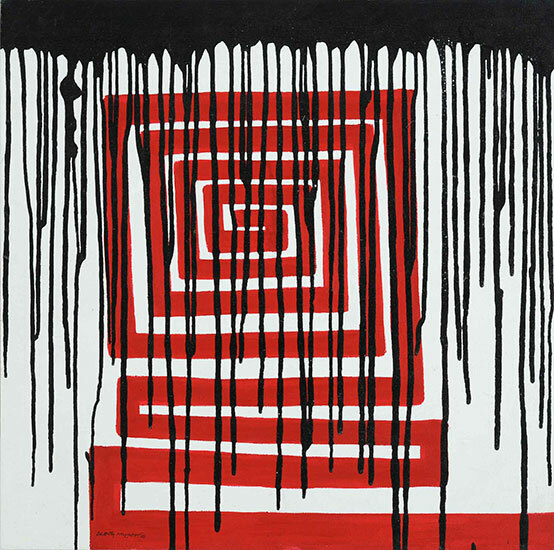 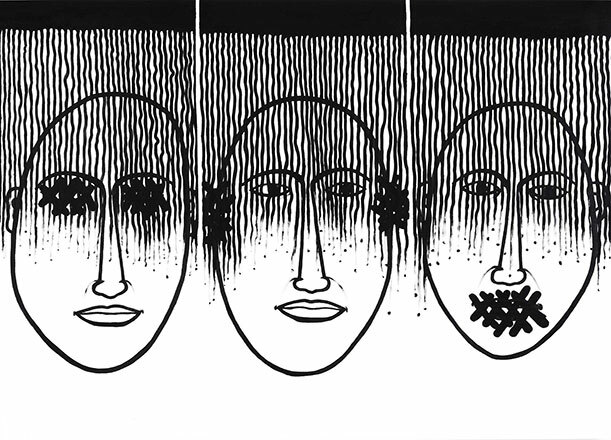 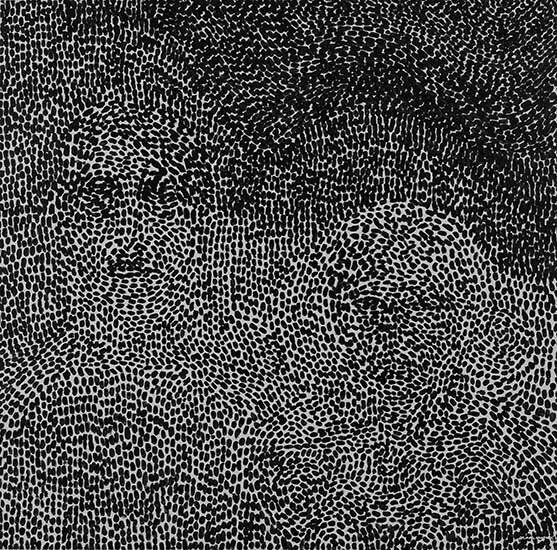 Recently, his works have been included two significant surveys of contemporary Southeast Asian art: The Roving Eye at Istanbul’s ARTER Space for Art, and No Country at the Guggenheim Museum in New York City, USA. 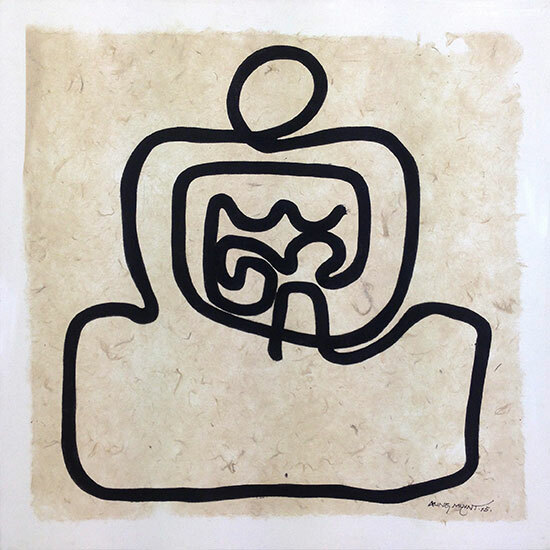 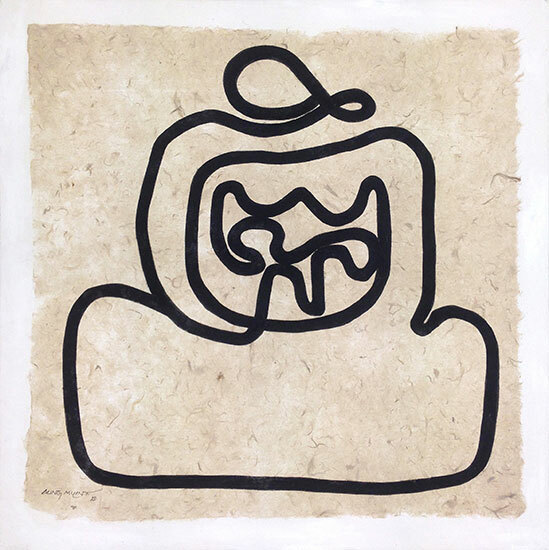 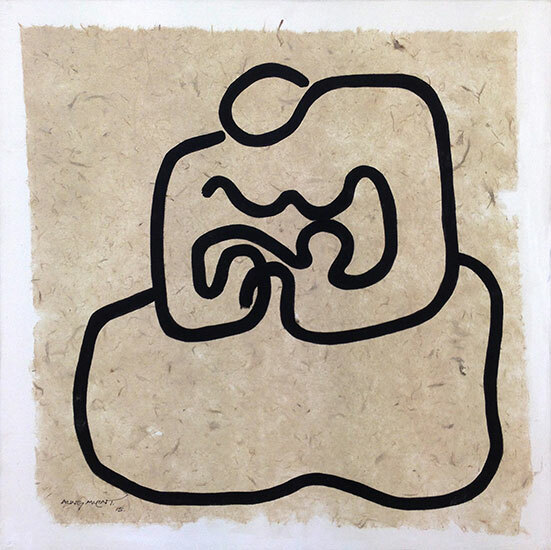 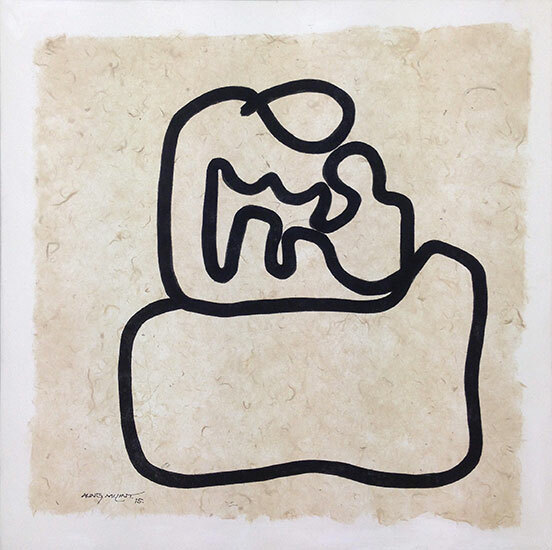 His works have been collected by Singapore’s National Art Gallery, the Fukuoka Asian Art Museum, the Solomon R. Guggenheim Museum, and the Vehbi Koc Foundation in Istanbul.